Some other people, trying to install another application, seemed to had the same problem. They usually solved the problem by installing a missing library-file, but in my case alle those, mentioned in the number of forums, I checked, are installed. Maybe it's a known problem and there's just a simple hint or I missed an important step... I am on it for three hours now, so I am pleased for any help. Right click the file, select "Properties", select "Permissions", check "Allow executing as a program". 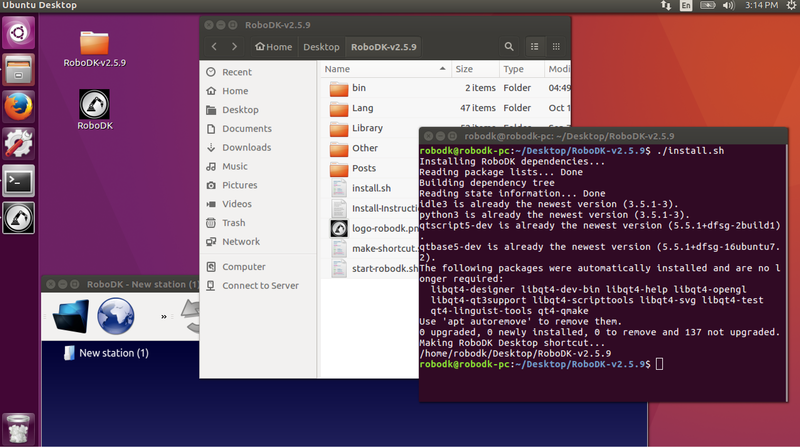 When completed, you should see a RoboDK shortcut on the Desktop. You will find the same instructions in a text file with the download.